Students develop self-confidence, a positive self-identity and they learn the skills they need to make their dreams a reality. Positive changes for Latino students can also ignite a passionate response throughout the culture of an entire school. Our research shows that Latino students who learn leadership skills can help in creating the conditions to reach four of the eight Leadership Framework criteria: create a culture, ensure safety, engage the community and close the gap. The Association of Washington Student Leaders (AWSL) offers Latino leadership programs for middle level and high school students. Additionally, staff training is offered to schools to equip them with the cultural understanding and intervention strategies to better serve their Latino student populations. ¡La Chispa! Activities for middle level students. 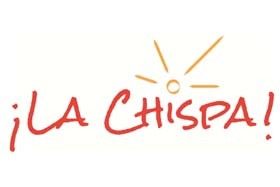 Registrations are currently open for ¡La Chispa! regional workshops taking place this fall, October20 - December 8, at locations around the state. Custom Workshops and Trainings for both students and staff. We come to you! AWSL understands that not every Latino population is the same: every community has its own unique needs. Through its custom workshops and trainings, AWSL can create a program specifically designed for your Latino students. Below are five of our Latino-focused workshops popular with schools around the state.